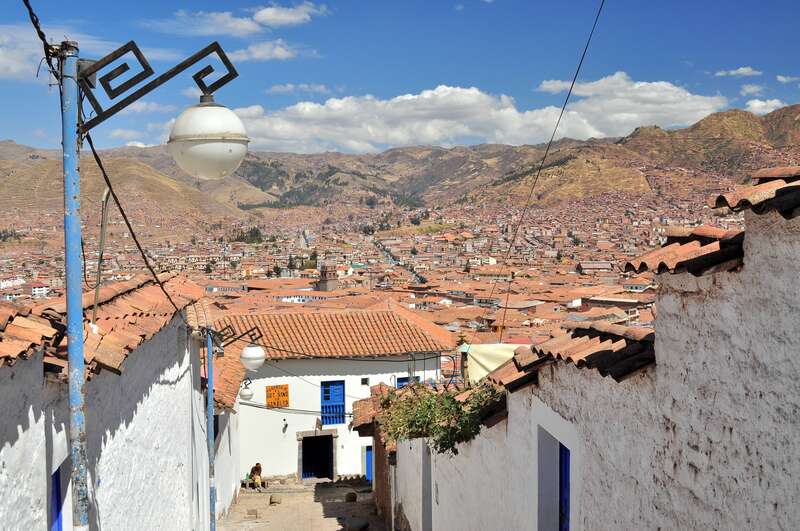 Perched at 12,556 feet above sea level on the shores of mammoth Lake Titicaca at the southern tip of Peru, the city of Puno has a distinct feel all its own — and the residents aren’t afraid to flaunt it. 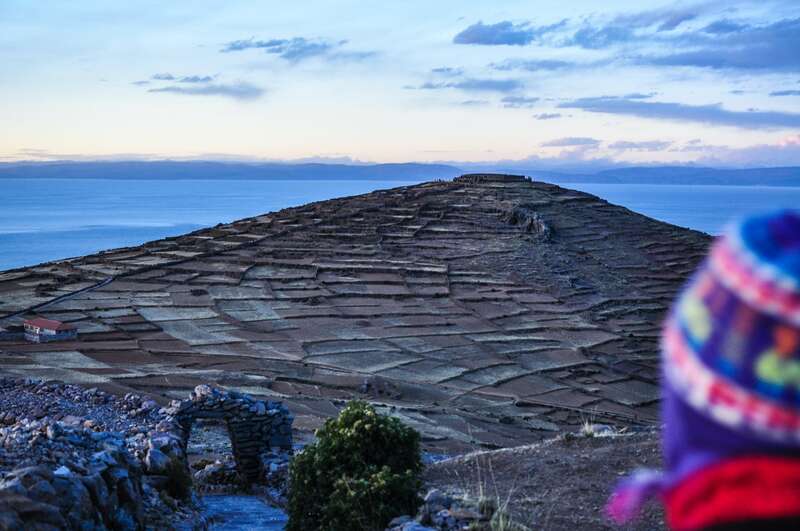 Dominated by agricultural terraces and two ancient-temple-topped peaks, the remote island of Amantani is quite unlike any other island we’ve visited. 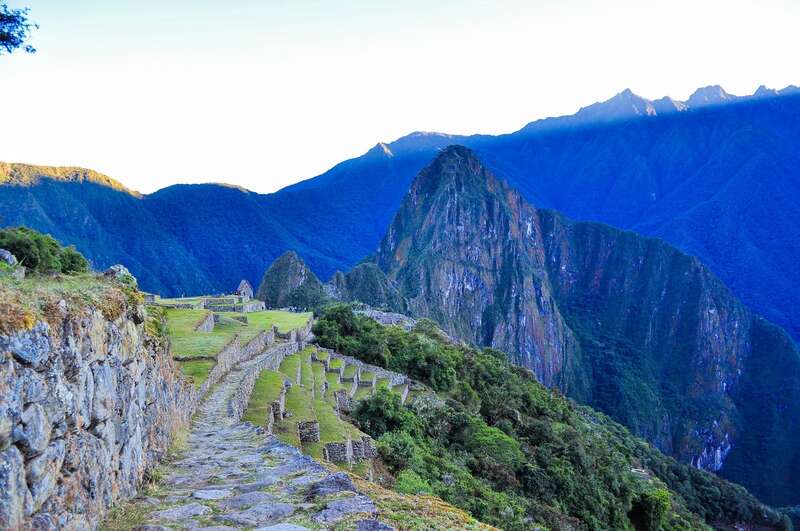 And now for something a bit different. 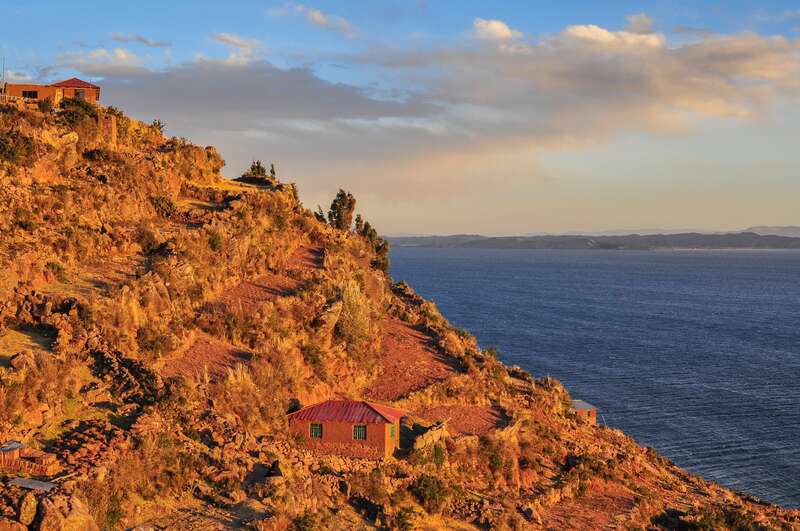 At 12,500 feet above sea level (3,800m), Lake Titicaca is the highest navigable lake in the world. 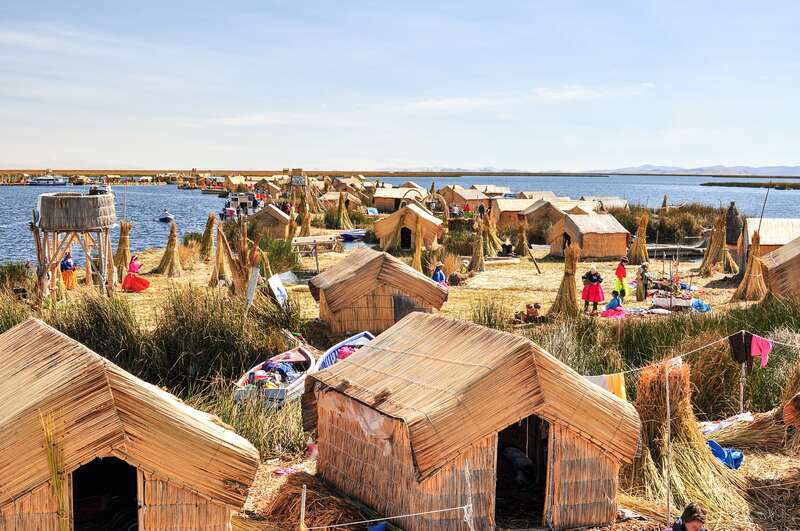 It’s also home to the Uru-Aymara who live across 44 self-constructed floating islands of reed! 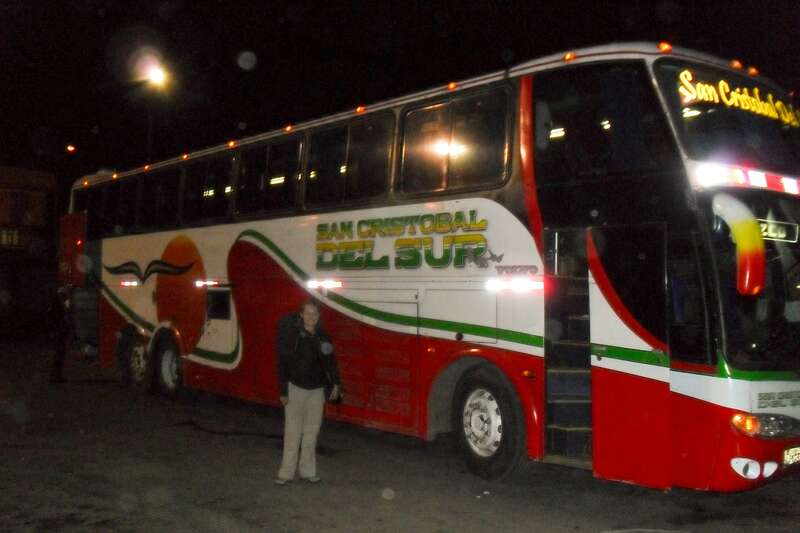 Another early morning bus ride Peru that ended up being a 10.5-hour adventure. 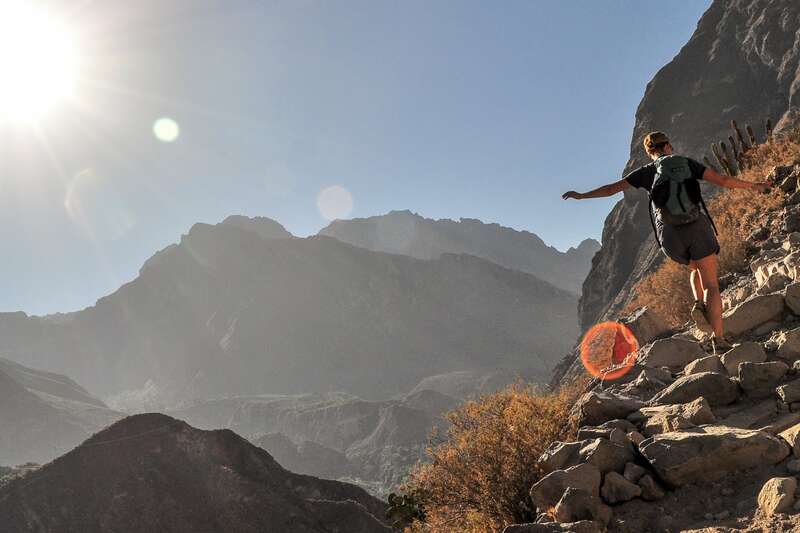 We climb our way out of one of the deepest canyons in the world at high altitude and under blazing sun…needless to say, it wasn’t easy — but totally worth it. 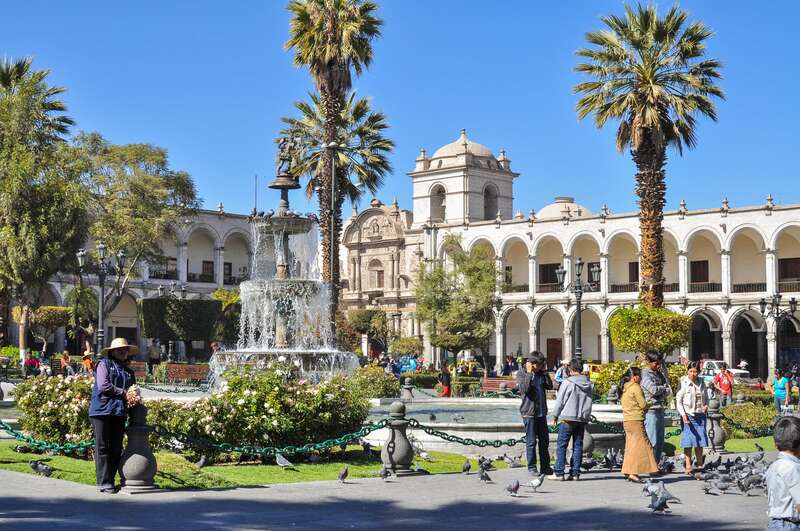 Exploring the enchanting “White City” of Arequipa, with its colonial, indigenous, and quintessential Peruvian charm. 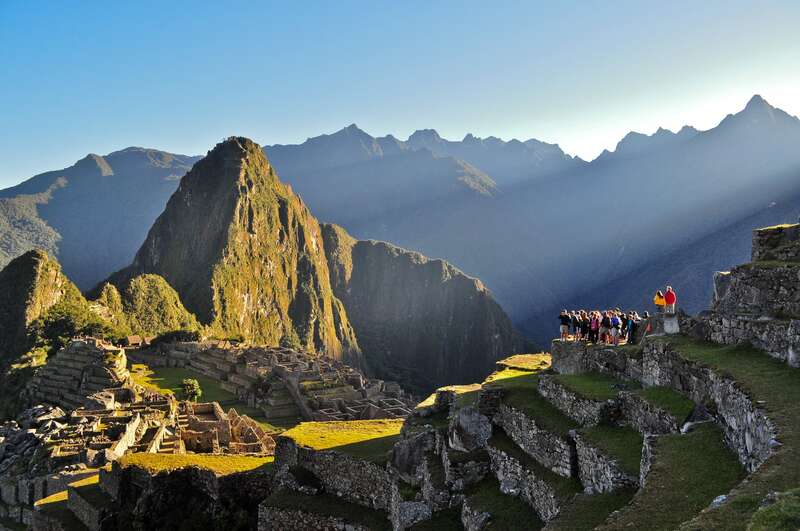 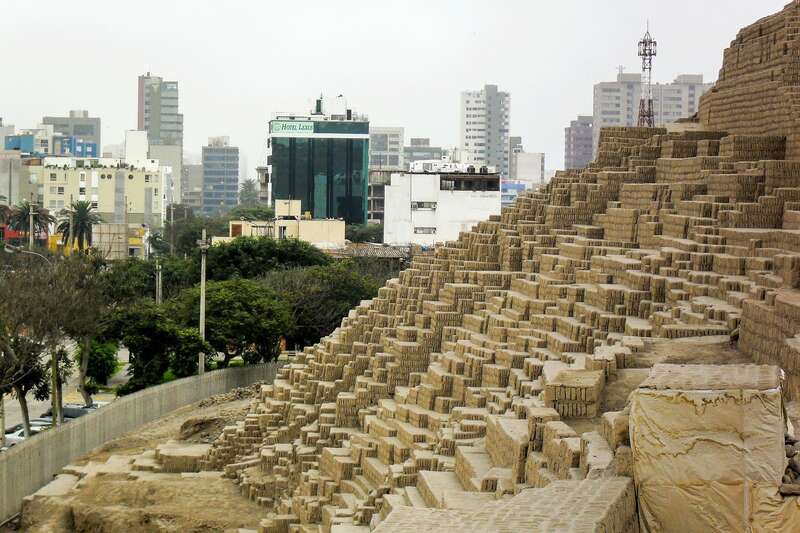 We begin our month backpacking in Peru where many travelers do – in Lima. 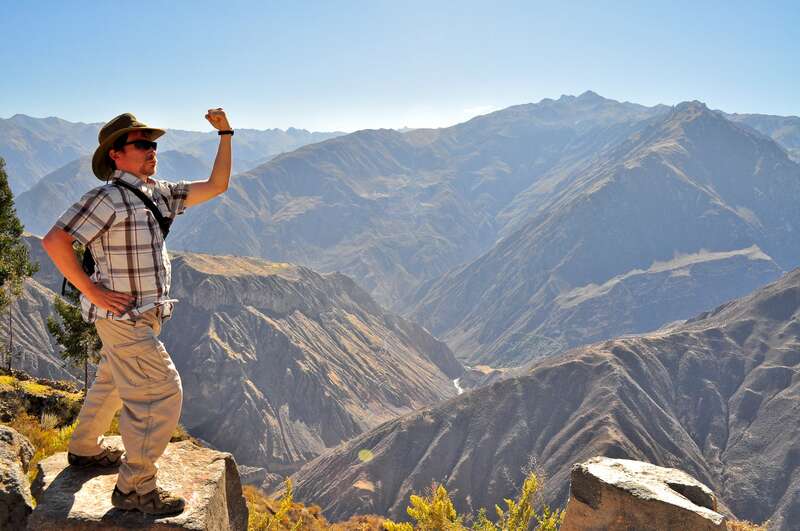 We explore the Miraflores neighborhood and some of the city’s top sights before taking a 16-hour overnight bus over the Andes to Arequipa.